Our product range includes a wide range of silencer perforated tubes and filter perforated tubes. With an aim to stand tall on the expectations of our esteemed clients, we are providing Silencer Perforated Tubes. The offered perforated tube is designed with finest material and sophisticated technology under the direction of our professionals. Our tube finds their wide applications in oil, chemical, mining, refining and other industries for the filtration purpose. 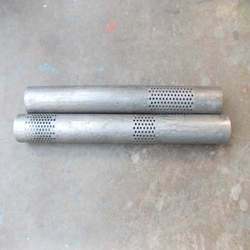 This perforated tube is different weights, sizes and dimensions as per the requirements of silencer. 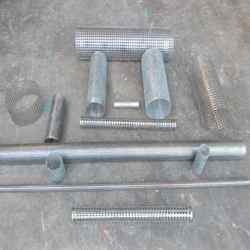 Looking for Perforated Tubes ?